Whether it’s a picnic, beach day, family gathering or a night out with friends, summer is a time when people come together for fun. Don’t let that great social buzz kill, bad breath, spoil the fun! For a significant number of people bad breath, also called halitosis, is an unnecessary embarrassment caused by malodorant sulfur compounds created by putrefying bacteria in your mouth, primarily in crevices of your tongue. Normal amounts of these bacteria will hardly affect your breath at all, but excessive levels can lead to bad breath and other serious oral problems. 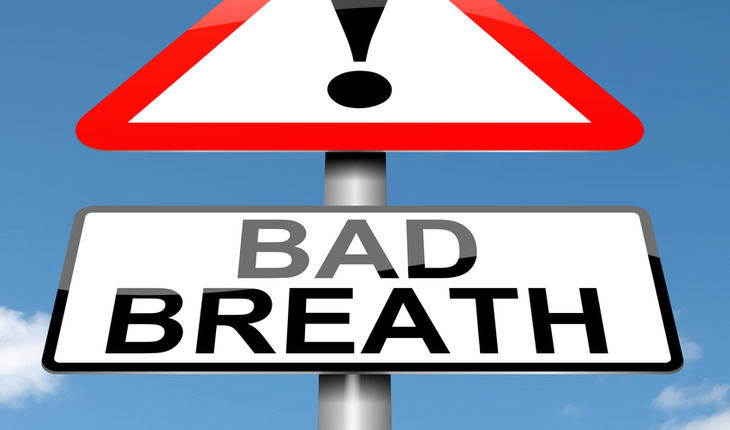 You don’t have to have a chronic condition for bad breath to be a problem. Summer is full of breath busters! • Barbecue feeds more than your taste buds. While some bad breath may originate in the lungs and gut, easily 90 percent comes from the mouth itself. For chronic sufferers of bad breath, excessive malodorant-producing bacteria are consistently present. For the average person however, the same bacteria thrive when fed by food particles and other debris lingering in mouth tissues. It’s not pleasant to think about, but grilled meat can sit wedged in your teeth and tongue crevices for hours, and these particles feed the mouth’s bacteria, increasing the risk of embarrassment associated with bad breath. • “Beer breath” is just one phase. Just as your favorite beer or cocktail leaves an unpleasant residual odor in your mouth, frequent and long-term alcohol consumption can throw your mouth’s bacterial balance out of whack from dehydration. Saliva acts as a natural barrier to germs – it creates an environment that they can’t tolerate. If you have a dry mouth, whether from dehydration related to alcohol consumption, heat, or a medication you’re prescribed, you lose that defense against germs. • National Fresh Breath day is August 6th. The observance reminds us that our family, friends, coworkers, and neighbors would prefer the same courtesy that most of them extend to you – breath that doesn’t make you want to slowly back away during a conversation. We’ve all had those moments when we were distracted from what someone was saying because of their bad breath. It really can affect your social life. Make sure you student practice good oral hygiene this summer with regular brushing and flossing. Brush your tongue, too! Remember that most traditional mints and sprays merely blanket underlying odors for the short term. A clean mouth is your best defense against halitosis. Dr. Kross is a PhD scientist associated with All USA Direct, producer of Breath Appeal products. Many of Kross’ 40 US Patents, and more overseas, reflect his biomedical specialization, including oral antimicrobials and associated conditions and diseases. At least 90 percent of bad breath is associated with the sulfurous compounds generated by the putrefying, malodor-forming, anaerobic bacteria, which hide in oral crevices, and which degrade food particles and salivary cell fragments, he says. Breath Appeal’s oxidants destroy a major portion of the bacteria in these low-oxygen environments, thereby removing the root cause of persistent halitosis.